Highland Hospice has issued a plea to local artists who may be interested in submitting a design for their ‘Go Nuts’ squirrel art trail which will be showcased next year. Both well-known and undiscovered artists are being invited to submit designs to decorate the squirrel sculptures, which will be shortlisted by a panel of experts. These designs will be displayed at a sponsors’ exhibition, where the sponsors will have the chance to choose their design. 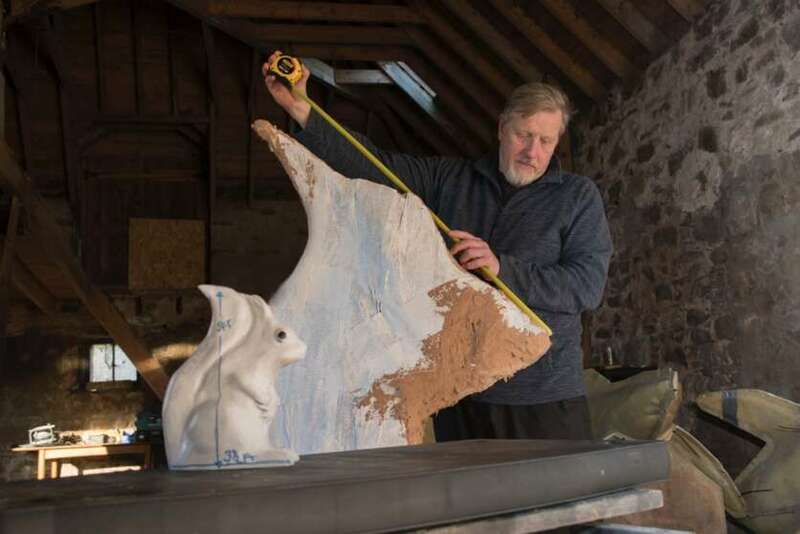 The spectacular art trail will be staged for 14 weeks during the summer of 2019, from June to September, with 20 squirrel sculptures, created by local artist Scott Gleed, being homed in the city of Inverness and 13 other Highland towns. Highland Hospice Events Fundraiser Jenna Hayden said, “Becoming a Go Nuts artist will give you the opportunity to showcase your work in front of a huge audience all over the Highlands. Your name will appear on the sculpture plaques, trail website, in our app and key publications such as the map and souvenir guide. Plus, you will have the chance to work with a well-known and much loved local charity on a project which will make a real difference to the lives of many. The hospice is still looking for corporate sponsors for some of the squirrels to join the likes of Focus Vehicle Rental, Tulloch Homes, Simpsons Garden Centre, Anderson Clark, Novar Estate and Eastgate Shopping Centre who have already each pledged £1,000 to sponsor one. The sculptures will be placed in every town which has a Hospice shop – Alness, Tain, Wick, Thurso, Portree, Fort Wiliam, Aviemore, Beauly, Dornoch, Grantown, Forres and Nairn – as well as seven in the city of Inverness. In September 2019, once the trail has come to an end, the squirrels will be gathered together for a farewell display, before taking centre stage at a Highland Hospice charity auction in November before they move to their new permanent homes.